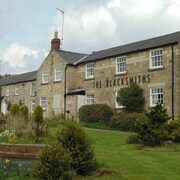 Situated in Pickering, this inn is within 3 mi (5 km) of Yorkshire Moors, Pickering Church, and Beck Isle Museum. Pickering Castle is 2.8 mi (4.5 km) away. Couldn’t fault anything but the horrendously loud noise coming from the pipes when we turned the shower on. Our got fixed but then the other rooms must have been affected as it woke us up on our 2nd night stay, scared my 5 year old. Where to find Pickering hotels near an airport? Where can I find hotels in Pickering that are near tourist attractions? While there are no Expedia-listed hotels in Pickering itself, there are 6 options within a 19-mile (31-kilometer) radius. The closest of our hotels is the Talbot Hotel, North Yorkshire, located 12 miles (19 kilometers) from the middle of Pickering. As an alternative, investigate the Barn Guest House & Tea Rooms, located in North Yorkshire, which is 6 miles (10 kilometers) away. 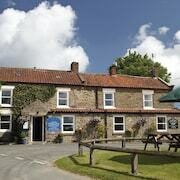 19 miles (31 kilometers) from the heart of Pickering, is the Thompsons Arms B&B. Alternatively, the Beaches Guest House can be found 14 miles (23 kilometers) away. 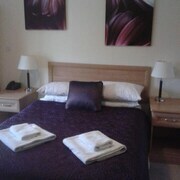 Alternatively, book a room at the Esklet Guest House or the Chiltern Guest House. Looking for more to do? Spend a few hours enjoying Scarborough Spa, Scarborough Castle and South Bay Beach, in Scarborough, 15 miles (24 kilometers) to the west of Pickering. 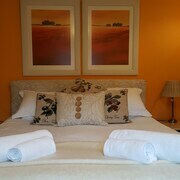 Scarborough accommodation options are the Helaina and North Bay Guest House. 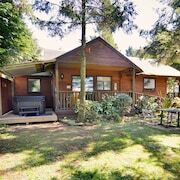 Alternatively, you could consider staying at York, 25 miles (40 kilometers) to the northeast of Pickering, where you'll find the Grand Hotel & Spa and Middlethorpe Hall And Spa. The York Hospital, Holy Trinity Church and University of York are a couple of the more popular places to explore for those visiting York. Tees Valley Airport is 30 miles (48 kilometers) from downtown Pickering. The St George Hotel is a short taxi ride away. What are the most popular Pickering hotels? Are there hotels in other cities near Pickering? What other types of accommodations are available in Pickering? Explore Pickering with Expedia.ca’s Travel Guides to find the best flights, cars, holiday packages and more!